Bartlett, Josiah- Signer. 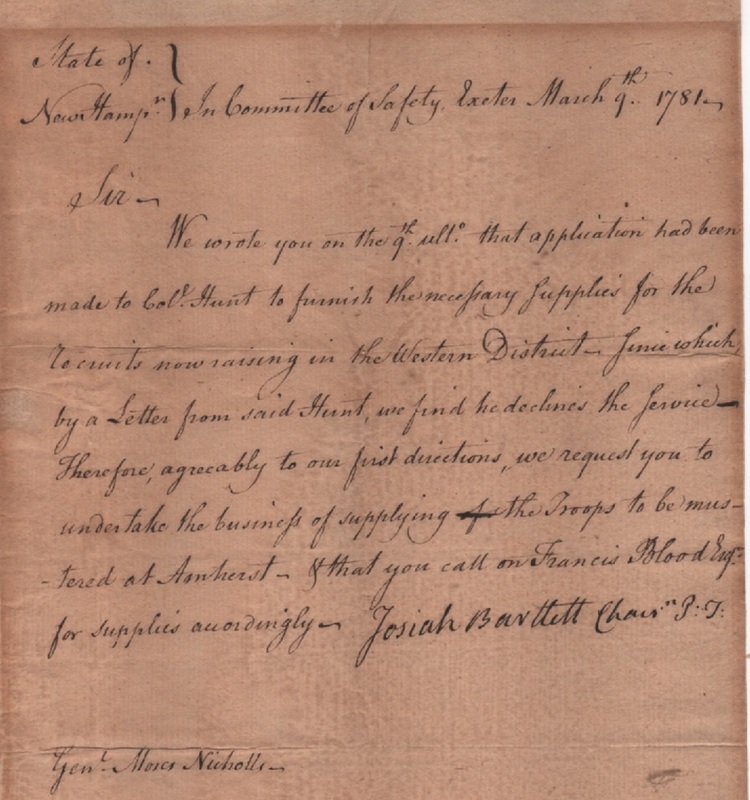 A nice signed letter as Chairman of the Committee of Safety, Exeter NH March 9, 1781 to Gen. Nicholls. Bartlett inquiries about supplies for recruits being raised in Amherst (NH). The front is noticeably toned from prior framing but still presents with strong ink contrast. It is a nice war date letter dealing with the challenges in supplying the army.